Today: Currently lives in Leamington, Cambridge. Ron was the Secretary of the Waikato Branch of the Prisoners of War Association till its recent disbandment. On the night of the 20th/21st of February 1945, during a raid on Dortmund with 405 Sqn RCAF, Ron's Lancaster PB530 (LQ-W) was shot down by an aircraft with an upward firing weapon. At the time and for many years the crew assumed they'd been hit by flack, but in the 1990's Ron was speaking at a Probus meeting in Te Awamutu and a member of the audience came forward to state that he'd witnessed the loss of Ron's aircraft, as he'd been in a nearby bomber, and had seen the Luftwaffe Ju.88 with upward firing gun hit LQ-W that night. The crew on that night were Squadron Leader Howie F.Marcou DFC, AFC (RCAF, Flight Commander); Flight Sergenat George E.Bolland DFM (who was killed on the ground by locals after he'd landed safely). 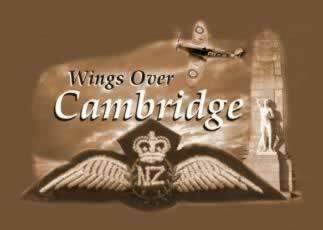 Flying Officer T.W.Downey; Flying Officer Ron Noice RNZAF, Flying Officer Bill G."Smokey" Smoker; Flying Officer J.A.Lewis; Flying Officer J.T.Ross (RCAF) T/S J.W.Verner (USAAF). He was captured and made a Prisoner of War. He was safe in the UK by the 15th of May 1945 .